What does the ultimate enrolment booster system look like? I think I have it figured out. As always, it’s a work in progress. There is always room for improvement but what we have so far is surprisingly good. The ultimate system combines a mix of online and offline strategies. As schools already have the offline “school tour” strategy in place, let’s run with that. What I can help with is boosting the number of enquires you receive for your upcoming school tour. As you know, most parents will start their search online to find a school for their child. The good news for you is that it is much easier and more cost effective to capture interested prospects online that it is offline. Word of mouth referrals will always remain the number one highest converting source of enrolments, but for the modern day school who is aware that times are changing and keeping up with technology and customer acquisition methods is a must rather than an interest, here’s how to go about it. 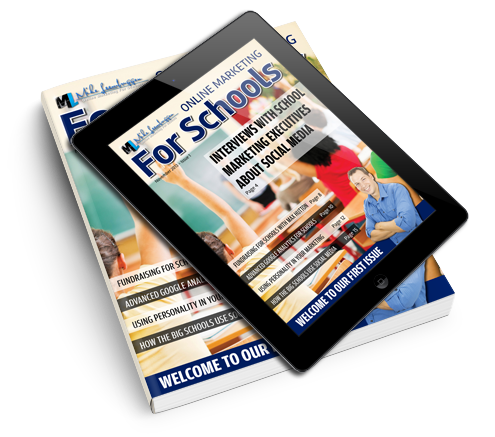 First, what you need is a way to effectively target prospects that are looking for a school. Then you need to convince those potential prospects to give you a little bit of information so you can engage with them. Then you need to effectively communicate the value of your school to those interested prospects. This is a system I have been running with schools for the past 3 years which has dramatically increased school tour bookings and enrolment enquiries. You’ll notice one thing. It’s very hands-off. It’s not designed to increase the workload of the registrar. It’s designed to be as automated as possible. All of this takes time to setup, configure, and integrate together. You need to create html landing pages, add web forms and tie all that into an autoresponder email service. It’s a lot of work, but there is good news. The good news is… you don’t have to do any of the tech work. In fact, you can have this whole system ready and setup for you by tomorrow. Take a look at the video below for a quick explanation of the “Enrolment Booster Execution Plan” that comes complete with training, support, and an out-of-the-box system ready to go.